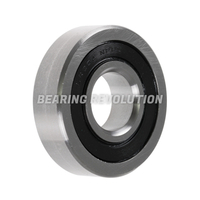 At Bearing Revolution we have a wide range of track roller bearings in stock and ready for dispatch, we stock all popular and hard to find bearing track roller bearings in our stock range of over 12.5 million bearing related products. 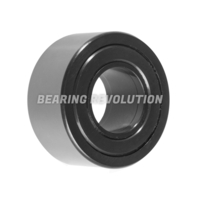 Track roller bearings, also known as track runner bearings or support rollers are designed to run on all types of tracks and can be used in cam drives and conveyor systems etc. They can take high radial loads because of their thick walled outer rings. 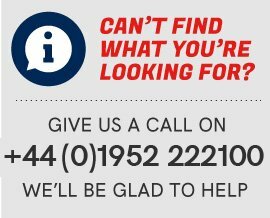 The outer ring is ever so slightly crowned in the standard range so applications where angular misalignments relative to the track occur can be kept to a minimum. 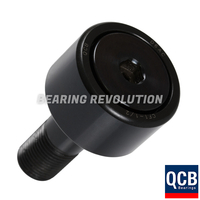 Cam followers sit within the track roller bearing range where the inner ring of a track roller is replaced with a solid stud that is threaded enabling a quick and easy way of attaching the roller to the machine component via the hexagonal nut. 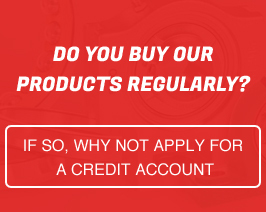 The Bearing Revolution team understand that there is wide choice of track roller bearings and choosing the wrong one can take up precious time, so if you are unsure on which product to purchase you can call us on 01952 222100 and we would be glad to help guiding you to purchase the correct track roller bearing.